perhapablog... and other ramblings: Mike Wieringo Tellos Tribute Sketchbook and other Awesome Shwag~! OMG~! It's a NEW PERHAPA_POST~!! 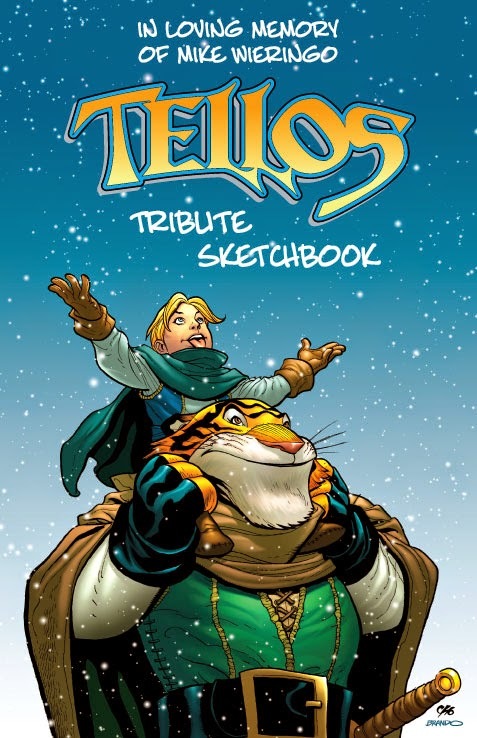 Mike Wieringo Tellos Tribute Sketchbook and other Awesome Shwag~! our debut of the Mike Wieringo TELLOS Tribute Sketchbook at HeroesCon this past weekend was, to say the least, a little overwhelming. thank you SO MUCH to everyone who came out to pick up a copy of this--if i do say so myself--gorgeous collection of simply stunning artwork from some of the industry's most talented talents~! all proceeds go to the Mike Wieringo 'RINGO Scholarship at SCAD and matt and suzanne told me that this proved to be their best convention so far~! the book is available for a $20 donation to the scholarship fund as well as $2.00 for shipping. 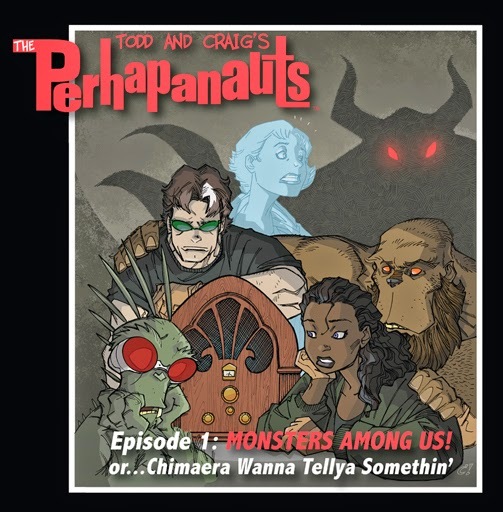 also new in the perhapa-store are the 2014 Perhapanauts t's--a design i loved so much that i insisted we put it on a t (craig was, like, ...eh...) it's one of my all-time favorite craig pieces and it's really looks fantastic on a shirt! look fantastic in one--order yours today! so click on the store right now and place your order. all are in limited supply, so it's while supplies last! Sketchbook sold out! Awesome! 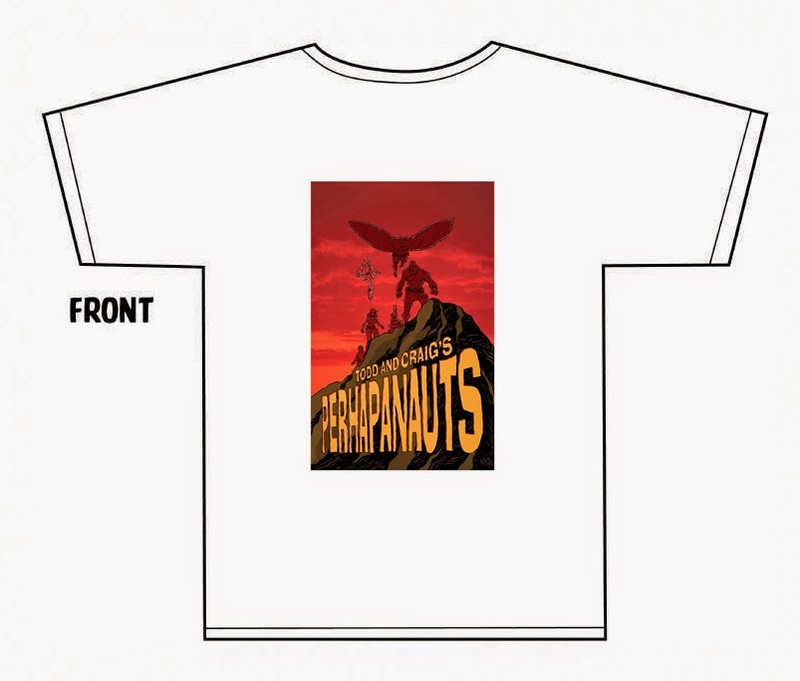 Guess it's time for more Tellos merchandise...starting with t-shirts. NOT sold out! The inventory was off--Fixed now! GO get some! !